to define, as far as possible, the nature of the crisis. sexual deviations or pathologies in the abusers, but that there is a deeper root too. crisis. This has a name: clericalism. Clear words that urge us to go to the root of the problem in order to face it. mentality; in more precise terms, this change is called conversion. to us who are her pastors. presence with the darkness of our counter-witness. distort the facts so as not to confess the horrible reality that presents itself. be alleged to be persecution against the faith. have to recognize that the enemy is within. receive the punishment they deserve and make appropriate amends. double if deep unity marks our being and acting. Church. Changing times pose new challenges to which the bishop must respond. an obligatory matter since the world needs to see perfect unity in our response. grow in this spirit of communion. our duty to confront immediately the situation that arises from a denunciation. Throughout the canonical process, it is essential that the accused be heard. The bishop's gracious closeness is a first step toward the recovery of the offender. rights that has led to actions that were later described as cover-up and complicity. weakest, of the most vulnerable. belonging to the Church and of feeling co-responsible for her. with open hearts to those who charged that they had been abused by clerics. our serious and grave responsibility for the redress and compensation of victims. from the damage caused; they cannot work and need economic support to survive. spiritual, psychological, psychiatric, social - for their recovery. eradicating the culture of abuse in the world in which we live. 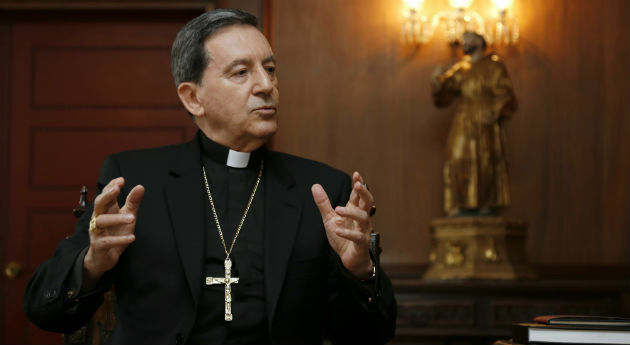 Bishop Patrick Dunn, listen to these words of Cardinal Gómez delivered on February 22, 2019 at Vatican. Fr. Lio Rotor should received the punishment he deserve for sleeping with married women but instead you promoted him as parish priest of St. Mary Church in Northcote, Auckland. DEFROCK him! DEFROCK Fr. Lio Rotor before he victimizes more vulnerable adult women in his parish or in your diocese.